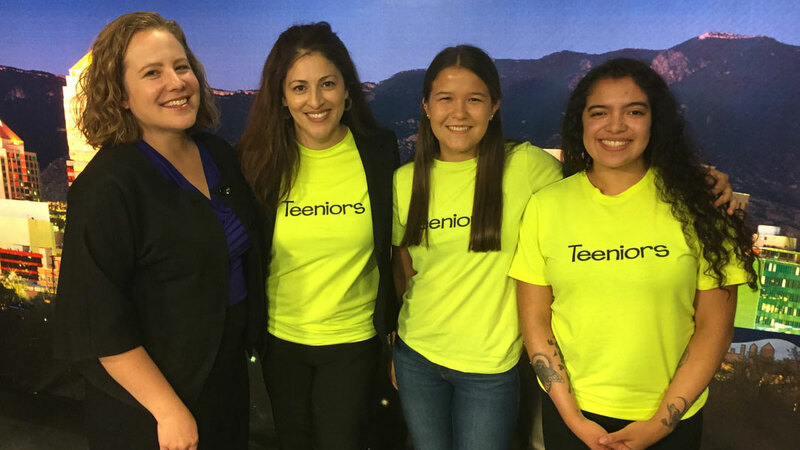 This week on New Mexico in Focus, producer Sarah Gustavus talks to Teeniors founder Trish Lopez and some tech-savvy teens. In 2015, Teeniors was born at a startup event to meet two needs … help seniors learn how to effectively use technology and create job opportunities for youth. On this month’s episode of Our Land, NMiF correspondent Laura Paskus travels to the Tijeras Canyon Safe Passage Project outside Albuquerque to look at one project from the New Mexico Department of Game and Fish and the Department of Transportation that’s trying to protect wildlife and keep drivers safe, too. Gene Grant and the Line opinion panelists examine the “transparency report” on UNM that the New Mexico Attorney General’s Office issued last week. They also look at teacher ratings and failing infrastructure in the state’s public schools, and discuss the rising cost of rent in Albuquerque.